The power of Close's painting to conjure his subject's physical presence has a parallel in Roman mummy portraits, but the two have vastly different goals. 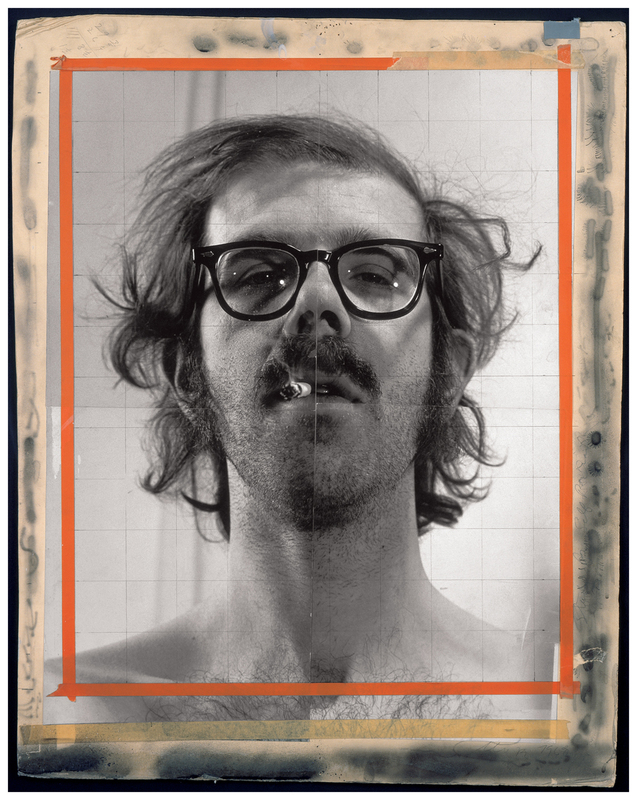 Close's 1968 Self-Portrait photograph is the kernel for an overwhelming nine by seven foot airbrush canvas that marks the beginning of his mature style. With a lit cigarette in his mouth under a thinning mess of hair that hasn't been properly shampooed in weeks, the barechested Close lowers his eyes towards the viewer with a cool, sexually-charged gaze. The disturbing relationship between artist and audience, though present in the photograph, is horrifying in the large airbrush painting based on this work. The funerary portrait of a young man in encaustic on wood also aims to suggest the physical presence of its subject, but for a much different purpose. This roughly life-sized head would have been incorporated into the deceased's mummy wrappings as a way of individualizing and preserving the features of the body for future viewing. 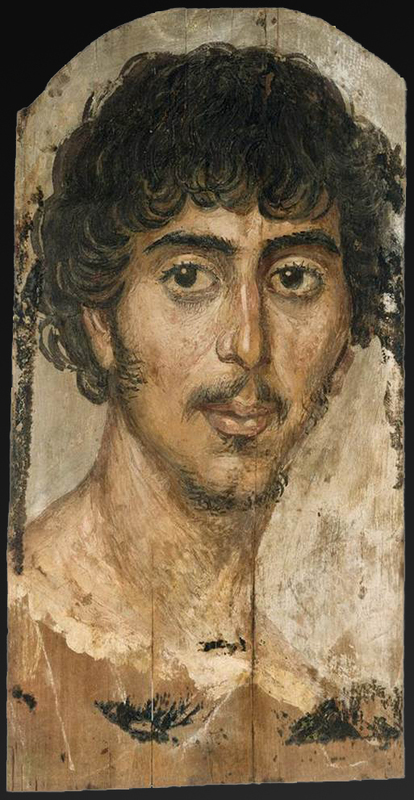 Romans commonly believed that portraits were not just representations of their subject, but a spiritual proxy for him. Instead of unnerving his viewers like Close, the maker of this portrait hopes to foster an intimate, caring relationship with this object as a way of comforting those close to the deceased. The youth's soft features, wide eyes, and inviting smile assure the viewer that the subject is content in death. The medium of encaustic, a combination of beeswax and raw pigment, lends the face a fleshiness that serves its purpose well as a stand-in for the mummy's actual features. Though different in effect, purpose, and technique, Close's and the Roman work both attempt to allude to the psychological presence of their subject by simulating its appearance outside of a still image.